Welcome to ‘another land’ – Gyroscopia……. The world you find here is the same as the one you live within, however seen from a different perspective. Our wish is to show how Living on Earth can be achieved in a friendly and co-operative manner, through working with our creations energetic organisation. Glen Atkinson – Astrologer, Gardener, Homeopath and Philosopher – has developed the agricultural and medical work of the turn of the century Austrian philosopher, Dr Rudolf Steiner, into a rational and secular approach of being with nature, while staying true to Dr Steiner’s energetic indications. Glen began working with Dr Steiner’s indications in 1976 and has made developments in several fields. His innovation and understanding of Dr Steiner have come from recognising the fundamental similiarity, between the traditional Astrological world view and Dr Steiner’s suggestions. Then from experimentation and observation, a simple yet innovative theory of manifestation – The Atkinson Conjecture – has become the basis for many practical activities. Glen accepts that, all the forces and activities talked of in Dr Steiner’s Agriculture Course express themselves as a result of the electronic nature of creation, and that the physical Universe is big enough to be ‘God’ . Hence, what can be known and proven, forms the basics of observation, reference and practice. This basis is then ‘seen anew’ The ‘Online Books’ section, contains several free books outlining the basis of this world view, and way of life. The ‘Pictures’ section provides artistic images that summarise some of the chapters in the books. There are three ‘Biodynamic Thought Puzzles’ available there, that provide a visual observational pathway to a new approach to seeing the world, through Steiner’s Agriculture and Glen’s Chemistry. A 30 plate book of the ‘Organisation of Matter’ is now available, as an exploratory journey. Glen’s research into Chemistry can be found at ‘Biodynamic Chemistry’, in which the Periodic Table of chemical elements is re-organised into a ‘Circular Periodic Table’. The Apple Periodic Table – North picture is one expression of ‘the story’. Another is the Glenological Rosetta Stone which opens up all of Chemistry to Dr Steiner’s medical suggestions. This is then developed into a ‘3D Gyroscopic Periodic Table’, with a plastic three dimensional gyroscopic sculpture being available to animate this ‘being’. The homeopathic system, that arises from this study is available to agriculture and humans through BdMax ltd, in New Zealand. ‘Case Studies’, has formal and informal plant research studies, undertaken to support our theoretical strivings. Enjoy your visit , please comment or contact us with questions. There has come a time in this philosopher’s life, where my individual search has lead to something, that no longer fits within the definition of any formal group, other than the very ‘broad church’ of Astrology……. Even in this wild and varied ‘group’, I am considered an innovative fringe. So added to where I stand with regards to ‘modern’ Biodynamic Agriculture, and my difference of approach to the usual practice of Homeopathy ; time has come to give this very individual approach a name for itself. It is time to give it a skin within which to live. Having said this, I appreciate my process and view has many similar elements and approaches found within older traditions, such as Paracelsus. By giving my practice a name – Glenopathy – I am intending for the information within this story, to become the reference for the story. Outside reference systems are now only partially relevant, and often cause a huge confusion. To really understand the details of the outcomes presented here, one first needs to accumulate the framework of understanding, within which a particular phenomena can be adequately judged. Without this basis, some things said here could seem unreasonable or far fetched. For me, bending to fit some other long established approach, is not working anymore. I have to tell the story within the reference of the story that has developed over the last 40 years. Yes I have drawn from the knowledge of the ages, and much of what I use as reference material is very traditional, however how I have blended the streams together does seem to have produced something ‘other’, than any one existing part. What I have found is very old, and forgotten, rather than new. I am just not finding this particular telling of the story anywhere else. And it needs to be told, and it needs to be told and understood, within its own reference, and organisation. Also it own name. Glenology. 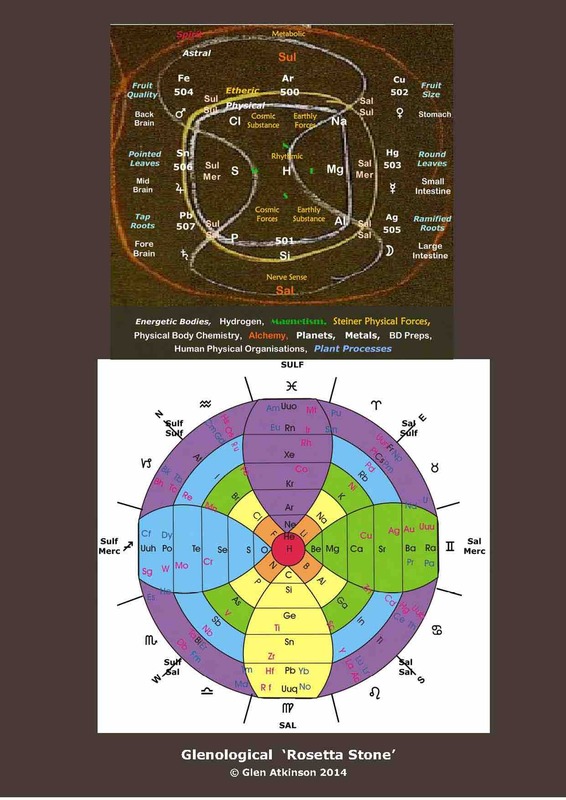 This references, elements of Astronomy, as the fundamental basis of Astrology filtered through Rudolf Steiner, and his detailed view of how the energetic activities work within life; Homeopathy, is used as one of the practical techniques Steiner chose to influence life’s manifestation; and History, as the story of humanites endevours. All of these sources have been ‘perceived’ in the Goethean Scientific / Paracelsusian sense, over a long time, and with the help of practical experimentation. What has arisen is a way of seeing Life, and actvities that can be done, that lead to extraordinary outcomes. With the intentions and practical actions being taken in this method, being focused upon resolving Pathos – illness, it seems reasonable to acknowledge it by using ther term Glenopathy . Glen’s development of a theology and a practice for alleviating discord, in its many forms. Garuda is a Hindu god, who is an incarnated EAGLE manifestation of the primary god Vishnu. He performs several essential functions in life.